It’s getting to be that time. 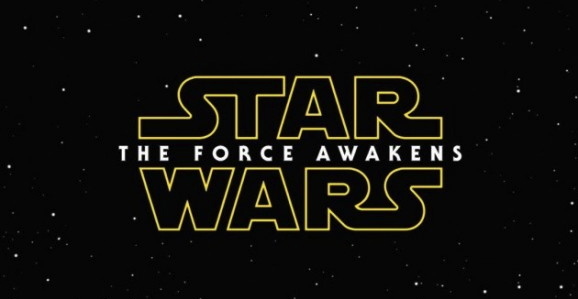 Principal photography has wrapped up on Star Wars: The Force Awakens—the J.J. Abrams directed one, not the fan film of the same name, just in case you were wondering—and word is we’re getting a trailer soon. How soon is a point of contention, but it should arrive before too awful long, and though it isn’t here quite yet, we’ve heard our first description. I guess maybe there are spoilers beyond this. Can you really spoil a trailer? Also, this is all just rumor and unconfirmed reports, so make of it what you will. Badass Digest, who have sources all over the Star Wars beat like white on rice, have heard that the first trailer for The Force Awakens will drop sometime within the next for to five weeks, though there have been conflicting reports. Some say it will show up with The Hunger Games: Mockingjay—Part 1 later this week, which seems rather soon, while others indicate that it could debut on ABC, which is Disney owns. The second seems more plausible. Slightly more interesting than when this may show up is what it will actually contain when it does. First off, this is going to be short, like approximately a minute long and not really reveal much of anything. Considering that we’re more than a year out, that makes perfect sense. The whole thing starts out with a soft, woodwind version of “The Force Theme” playing. There is no dialogue, and images of the main characters appear and fade to black. It all sounds very melodramatic. I imagine this includes the returning players as well as some of the newcomers, but there’s no word on who you’ll see right now. Then things kick into high gear. A title card showing Star Wars: The Force Awakens pops up and the Millennium Falcon flies right towards you, firing all her canons. And that’s it. Short, quick, to the point, a teaser in every sense of the word. Again, this isn’t going to show much, but what it sounds like it is going to try to accomplish is set a mood and tone, and from this description, it sounds rather maudlin. Considering the various things we’ve heard about the plot, this fits with the overall atmosphere and feel of the film. Does that sound like a good first trailer to you? Do you care at all? We’re all waiting for December 18, 2015, when we’ll finally be able to see Star Wars: The Force Awakens for ourselves, but until then, do you think this will help tide you over?